I’d have no problem at all kitting out my entire home with Leander furniture and this latest addition to the Leander family is so easy on the eye, I have no doubt many other families will adore it too. 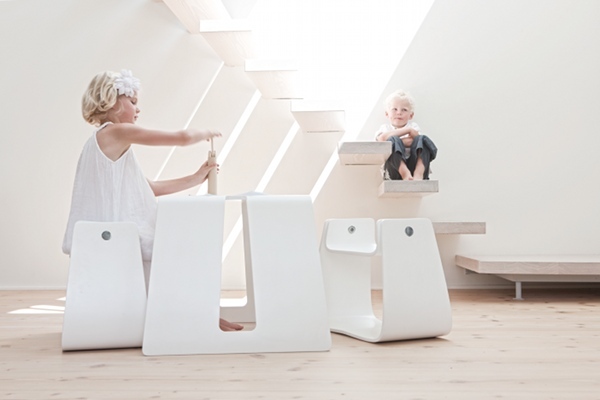 It’s the brand new Leander Stool Set, with solid yet elegant pear-shaped lines that offer a sturdy seat and playspace to active wee kidlets. When children sit on the stool, the front edge of the seat moves downwards a little, allowing them to move more freely while they sit. We’re all pretty familiar with the shuffling around kids do when seated and the Leander Stool Set was designed with this in mind, as well as the aesthetic sensibilities of adults. The stools can be stored neatly out of the way under the table when not in use. The clean, fresh white option is just my thing, but the set is also available in the gorgeous signature Leander colours of Whitewash and Walnut. It will coordinate with the Leander Bed and Leander Change Table, making for a seamlessly assembled interior. 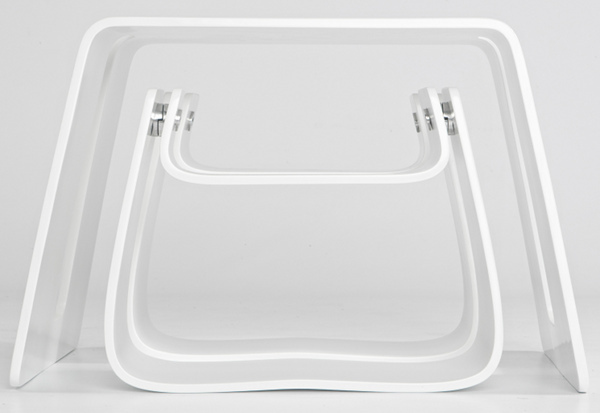 We’ll keep you updated about when the Stool Set will arrive in Australia!